Simon & Schuster, 9780684835754, 224pp. 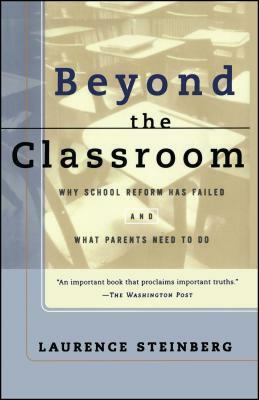 Drawing on a nationwide survey encompassing all ethnic and socioeconomic groups, Beyond the Classroom identifies the real nature of the education crisis in America. No one answer is going to reverse the dumbing down of American schools and American kids. But here, at last, is a fresh perspective.--Chicago Tribune.